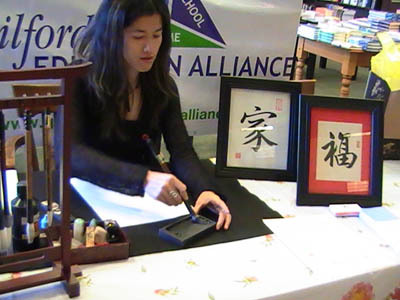 Interested to have the calligraphy artist visiting your special events or schools. See more info at Events Info. Bob Buckley (Fox 8 reporter) had his son's name brushed in Chinese calligraphy. 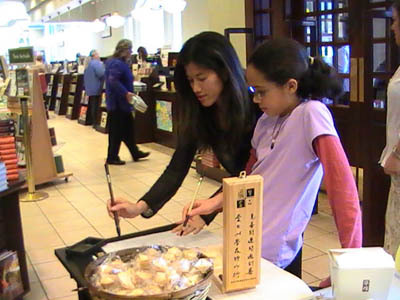 The calligraphy demonstration event was held in Barnes and Nobles (Friendly Center, Greensboro, NC). 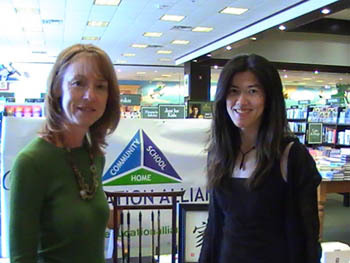 Barnes and Nobles' customers have the choice of donating 20% of their book purchases to Guilford Education Alliance. 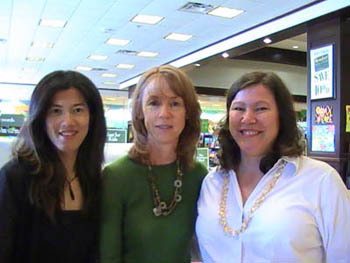 This event also ties together to promote Lisa See's new book Peony in Love (the story was set back to 17th century China). 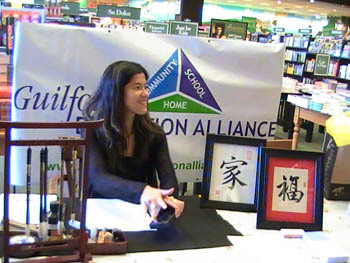 Customers were free to join a drawing for the artist's calligraphy, P. F. Chang’s gift certificates and other items. If you are interested in having the calligrapher to visit your special event. See more info at Events Info.